SHIVANI CHANDHOK, DPM | Where the patient comes first! 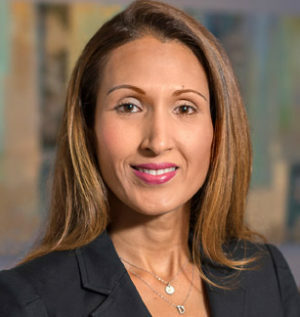 Born and raised in Nairobi, Kenya, Dr. Chandhok moved to Vancouver, Canada where she completed high school and obtained a Bachelor of Science degree at Simon Fraser University. Dr. Chandhok returned to Kenya for four months following graduation to volunteer at Nairobi hospital working with underserved patients. Subsequently she immigrated to the United States where she spent two years in Pittsburgh participating in Cardiovascular Research. Philadelphia has now become her home since 2007 where Dr. Chandhok obtained a Masters of Science degree at Drexel University College of Medicine, went on to Temple University School of Podiatric Medicine for medical school, and further, completed a four-year surgical residency at University of Penn Presbyterian Medical Center. Dr. Chandhok is trained extensively in both forefoot and rearfoot reconstructive procedures. Her experience is inclusive of both operative and non-operative treatment of complex foot and ankle deformities, diabetic ulcers and wounds, management of arthritic conditions, bunions and hammertoes. She applies the latest advanced techniques in the restorative treatment for her patients. 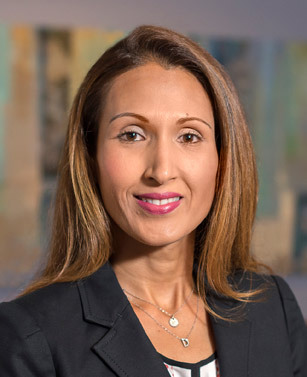 Dr. Chandhok’s diverse background and training make her sensitive to both the immediate and long terms goals of her patients. Returning to improved functionality and resuming a healthy lifestyle is the focus of Dr. Chandhok’s treatment plans. In her spare time, she enjoys exercise and fitness, cooking, traveling and spending time with family and friends. She is married with two young children.